Most Badass BMX cranks. Ever. 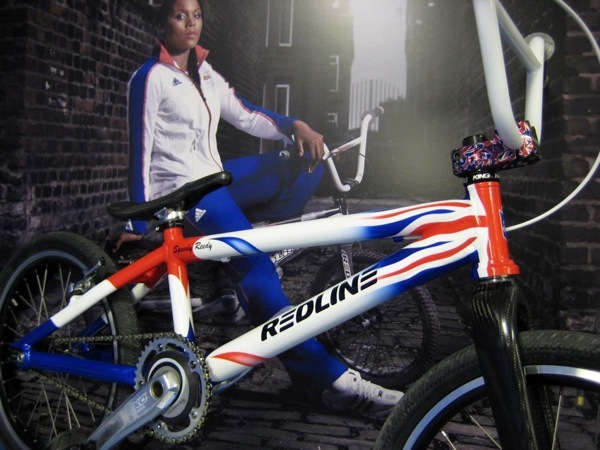 Last night I was surfing the web and I found this photo of Shanaze Reade’s Redline BMX for the 2008 Olympics. Reade, the British representative in Beijing, crashed out of the gold medal final. In the photo of her bike, the eyes of most people would be drawn to the Union Jack paint scheme, but I instantly took a bead on the cranks. Of course you must realize that those are Shimano DXR BMX cranks….modified for an SRM power meter.